Stove top Espresso /Cappuccino Maker. 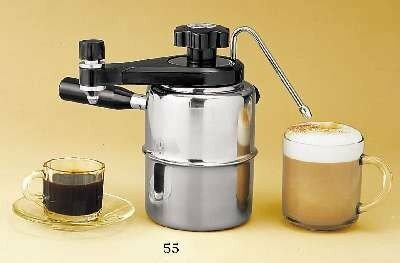 Solid stainless construction, makes up to 9 cups of espresso coffee or make make steam for frothing, uses no electricity, great for camping. Measures 8 inch tall x 4 5 inch wide.